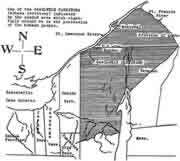 The Ganienkeh Council Fire and all traditional Kanien’kehà:ka people are a sovereign entity independent from those entities of North America referred to as the United States of America and Canada. This is a fundamental part of each traditional Kanien'kehà:ka’s* lifelong education. 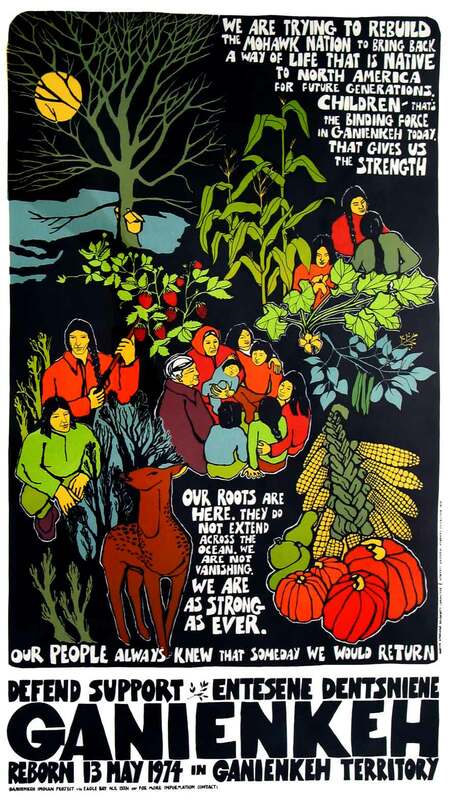 Our education has been conscientiously passed down by those who lived before us and will continue to be relayed for the generations of Kanien’kehà:ka not yet born. This is our legacy, this is our history and this is our reality, a reality that has been insidiously suppressed from the greater public by those foreign political, educational and media institutions of the US and Canada. Ganienkeh is a branch of the original sovereign Kanien’kehà:ka Nation located within the sovereign traditional territory of the Kanien’kehà:ka. 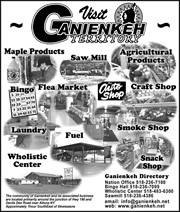 Ganienkeh is NOT a reservation nor is it “recognized” as a “Tribe or Band” by the US or Canada. Ganienkeh does not accept funding from the United States or Canadian governments in any form and does not wish to be “recognized” as a “Tribe or Band” under any foreign law, to be such would be the highest form of insult imaginable. In recent years various “Indian” entities have tried to have their pleas entertained in the foreign judicial systems of their oppressor. The general “opinion” from these ultra-educated specialists of law, “You's waited too long”. Kind of ironic considering that in recent history (and to varying degrees this continues today) if any Indian approached US or State entities to address these concerns they would be completely ignored, directly or indirectly threatened with more oppression or worse. Ganienkeh still maintains that New York State and or the Federal Governments of the United States of America and Canada should never be given opportunity to serve as Judge and Jury over its own wrong doings. We still believe however that these issues can be resolved; preferably at an internationally mediated platform. A platform of respect and a reconciliation of the Nation to Nation dialog as defined by our forefathers as brothers in accord with the Two Row Wampum agreement and the complimentary Silver Covenant Chain. Our people have always maintained this position; it is only the United States and Canada that have continued to disregard the powerful history between our Nations. One of the original goals of Ganienkeh was to create a successful alternative to the devastating reservation system and the colonial style administration system that was illegally imposed on our people early during the last century. Thirty plus years is not a long time to reverse the effects of 500 years of colonization and attempted assimilation, yet this goal is becoming a reality with much work yet to be done. Ganienkeh is well on its way to establish itself as a self sufficient communal society that traditionally defines the Kanien’kehà:ka as a people. 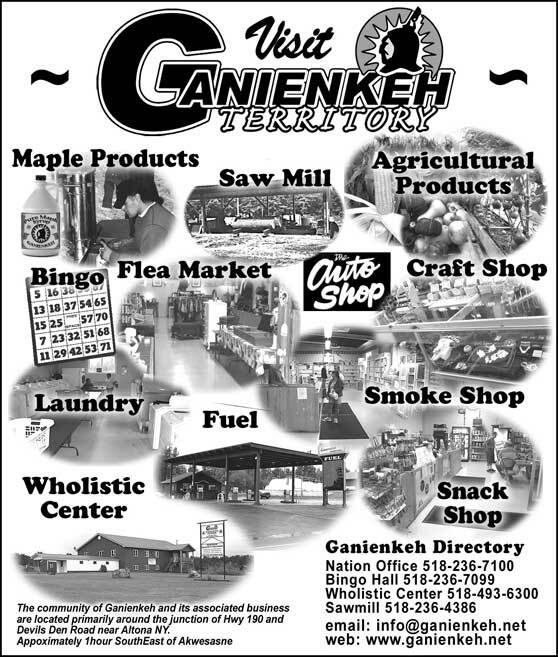 There have been many people over the years that supported and contributed to the success of Ganienkeh at all levels of participation from all over North America. Thanks to the dedicated and tireless efforts of certain individuals, Ganienkeh continues to progress toward those original goals set since the inception of Ganienkeh. There have been many unpleasant bumps in the trail leading to this point and there have been too few consistent participants since day one of Ganienkeh. Yet, some individuals have never abandoned the original vision of Ganienkeh and have continuously advocated that Ganienkeh stay on course and not stray from its original goals. And that is why so many people respect their comprehensive knowledge of Ganienkeh; they are living it not just talking about it. They have sustained their responsibilities to Ganienkeh twenty-four hours a day, seven days a week for many years throughout the best and worst of times; not just when it was convenient for them. 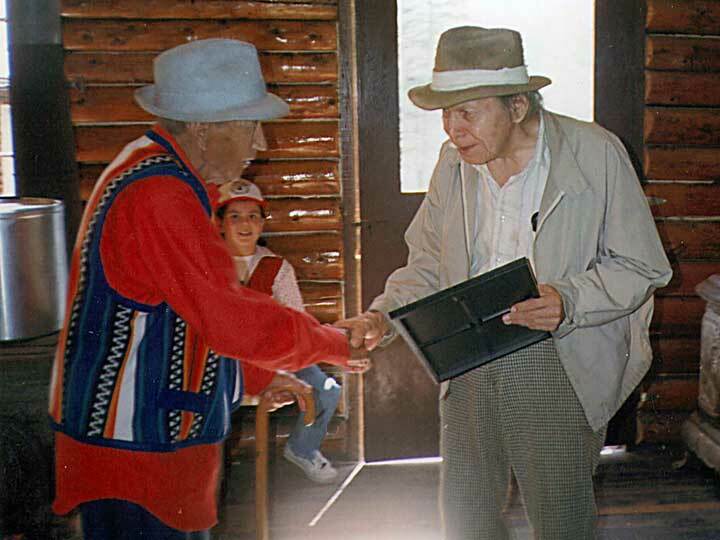 Ganienkeh is now the home to five generations of the late condoled Bear Clan Chief Karonhiaktátie and his wife Skashén:nati (aka Eddie and Ida Delaronde). That is truly something to be celebrated. Today in Ganienkeh there is tremendous burden on every resident. Those currently residing at Ganienkeh are completely committed to a continuing successful future for Ganienkeh, for all Onkwehón:we***. Each resident of Ganienkeh, young and old, has multiple duties and responsibilities to ensure that Ganienkeh reaches its goals. Sometimes it may seem quite overwhelming yet everyone endures the inexhaustible challenges, because they are reminded each day as they look around of why they are here and are thankful for that. The residents of Ganienkeh remain adamant of the importance of keeping Ganienkeh alive. To ensure that there is always a place for Onkwehón:we to live as Onkwehón:we without interference from external interests and the ulterior agendas plaguing most of “Indian Country” today. 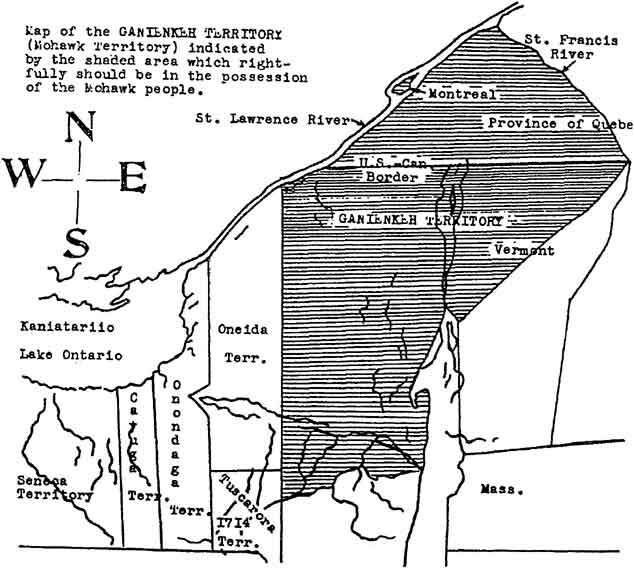 The residents want to ensure that if opportunity for a traditional lifestyle is exhausted in any or all communities of the confederacy, that there is still a place for them if they chose to live according to the Kaianerehkó:wa and the policies and laws set in place for the “Independent Indian State of Ganienkeh”. Early in the establishment of Ganienkeh the people realized that some form of economy would be necessary, to provide our people with the opportunity to focus on and restore those things that are socially and culturally essential to our existence. The economic initiatives at Ganienkeh are one means to ensure a positive future for our children and the unborn generations of Kanien’kehà:ka. All economic initiatives at Ganienkeh are conceived, implemented, managed and maintained by the community as a whole, even the youth have a say in these matters. Not one individual has absolute control nor does one individual benefit solely from these ‘business’ entities. Certain individuals are delegated and entrusted with specific duties by the council of the people to oversee the daily operations however all major decisions are made by the Ganienkeh Council Fire. All funds and transactions through these ‘businesses’ are required as a function of our community since ‘Indian’ nations have found it necessary to accept US and Canadian currencies as a trade commodity. These funds help to provide complementary resources for our people to assist with the preservation and re-acquisition of the Kanien’kehà:ka language. These funds also assist with the various agricultural, social, educational, and wellness programs in development at Ganienkeh. All essential to the whole of our culture which ensures our continued existence as true Kanien’kehà:ka and as a result will minimize any dependency on the corporate controlled monetary system that currently dictates most societies of North America and the world. The people of Ganienkeh are still striving to teach our ways through experience, the most vital lessons of our society. The people of Ganienkeh want to ensure that everyone maintains the secure roots set by those that went before us with the knowledge of the past and the foresight to events that are in our midst this day and beyond. The people of Ganienkeh follow the yearly cycle as intended by creation. They experience the growing season, they experience and appreciate our natural remedies first hand. They will not have to resort to second hand literature which is often inaccurate or convoluted. The people of Ganienkeh will not determine when it is time for the Harvest Festival by looking at the produce section of the local grocery store. They experience our ways in every comprehensive means possible. That is what Ganienkeh continues to strive for; to ensure that this reality is alive for all generations of Onkwehón:we today and those not yet born. Ganienkeh has made many fruitless efforts over the years to assist individuals of other communities to develop economic initiatives. Individuals would approach Ganienkeh with the pretense that these ‘business’ would benefit their community or the Nation as a whole. This ‘assistance’ was often approved verbally by the community council, and it was expected that these individuals would respect and honor their original intent. Repeatedly these proposed economic ventures failed or were never started and that money was not returned to Ganienkeh. Those ventures that were somewhat successful provided limited or no financial return to Ganienkeh, their respective communities, or the Nation. Anyone in their right mind would understand Ganienkeh’s hesitance to fund future ‘business ventures’ as proposed by individuals for the supposed benefit of other communities. 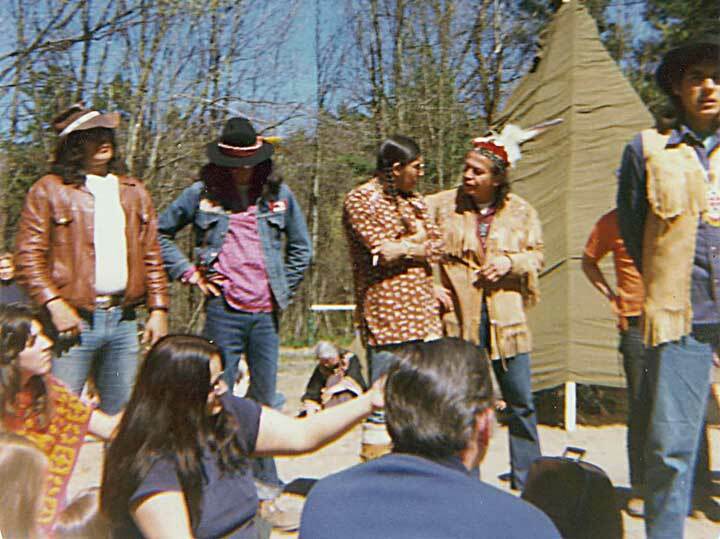 Thus, the Ganienkeh council of the people gradually started to shift their preference to first and foremost support youth initiatives at Ganienkeh and other communities of the Confederacy. 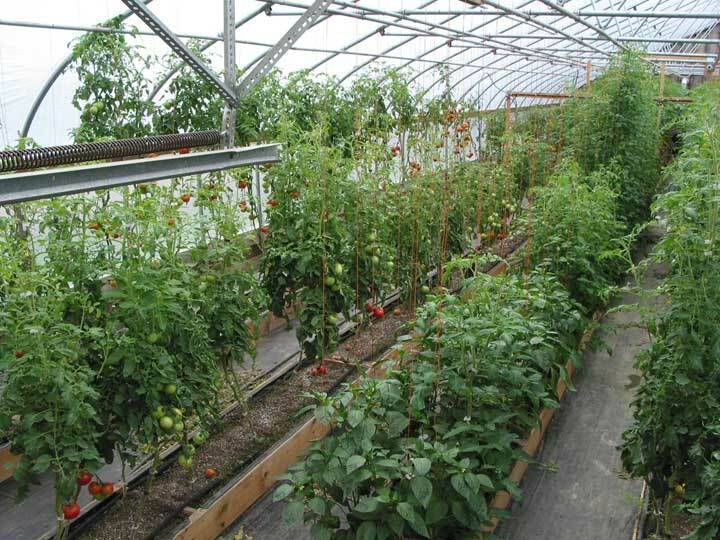 Ganienkeh has commenced numerous agricultural and farming initiatives over the past number of years. These projects have been labeled by some Ganienkeh critics as failures because they currently do not provide a sustainable revenue return. It must be pointed out that the current agricultural projects at Ganienkeh were never meant to be big ‘money-makers’. The very core of our history, language and existence is acknowledgment of that which sustains us continually. Ganienkeh has never been made aware of any ‘Cash-Cow’ festival. For many generations there have been knowledgeable people who had the foresight to warn us that a time will come when the current monetary-based systems of the world will collapse and other catastrophic changes could occur instantly and without warning. Well we’ve already seen many of the signs they told us about and it is our responsibility to prepare for that eventuality for the good of this community this Nation and all Nations under the protection of the Kaianerehkó:wa as a whole. The projects of Ganienkeh have been successful at developing natural methods of higher yielding ‘white-corn’ and other crops and the efficient preparation and storage of these crops. There are many gardens throughout Ganienkeh and everyone has a responsibility to them and everyone benefits from them. 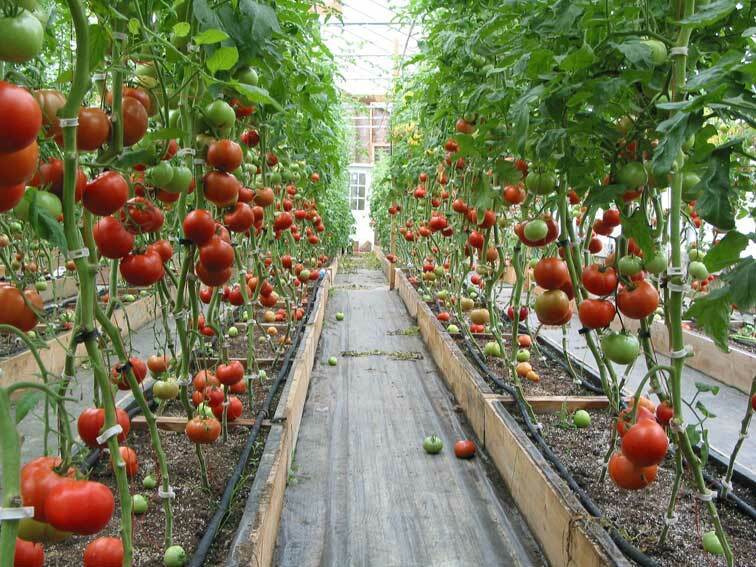 Ganienkeh also has a number of large greenhouses to extend the growing season in this ‘northern’ climate and they have continually produced an exceptional yield of various fruits, vegetables and herbs. 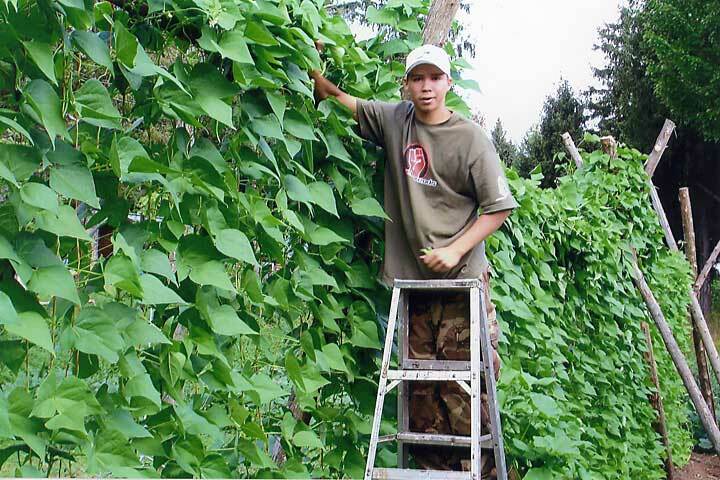 Canning, drying and preserving is the foremost priority within the community during the harvest season, from toddler to elder everyone is involved, as it should be. 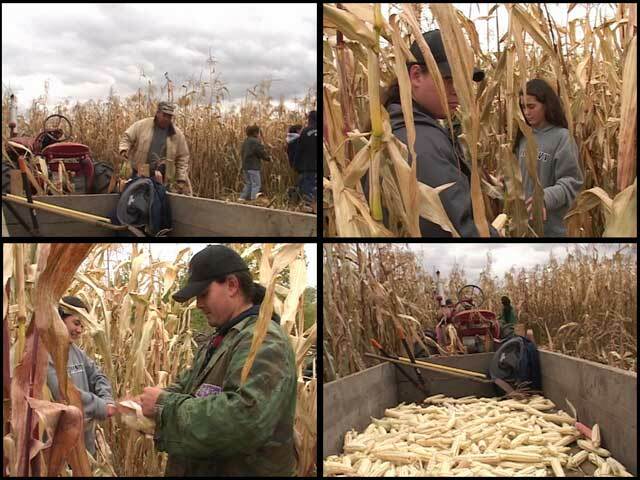 In addition the community is continually expanding their ‘Maple’ harvest each year. 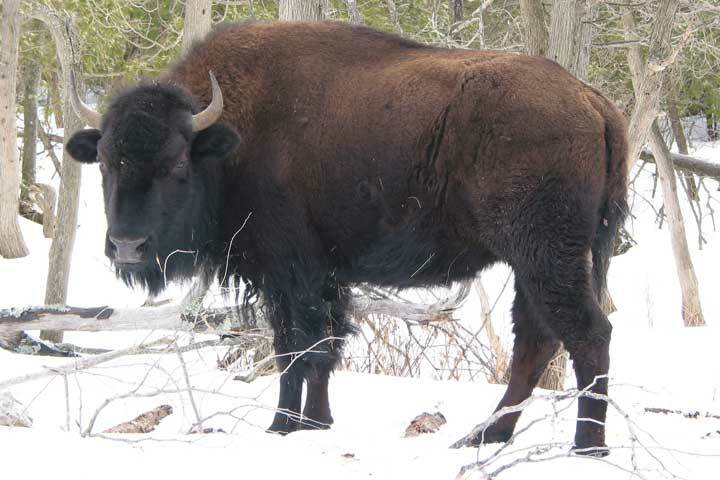 The people are also thankful and proud of the healthy and growing herds of Buffalo, “Beef-a-lo” and Cattle at Ganienkeh. The community of Ganienkeh continues to advance in all areas. Health care is a major concern for all people and the community of Ganienkeh continues to address this concern by providing traditional, alternative and conventional treatments and their various complimentary preventative medicines. 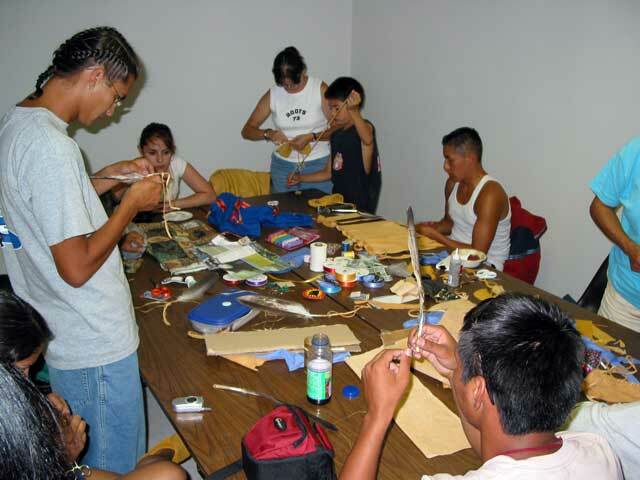 The Ganienkeh Wholistic Center was created to provide services for the people of Ganienkeh and our neighbors who are not of Onkwehón:we descent. This center is somewhat subsidized by the other economic initiatives at Ganienkeh but we believe in time that this resource will be self-sustaining for the benefit of all. The community of Ganienkeh through the Wholistic Center has acquired the services of specialists for Chiropractic, Naturopathic and Acupuncture care to name a few. The Center also includes a unique “Remedy Room” with a wide variety of vitamins, herbs, and supplements available. 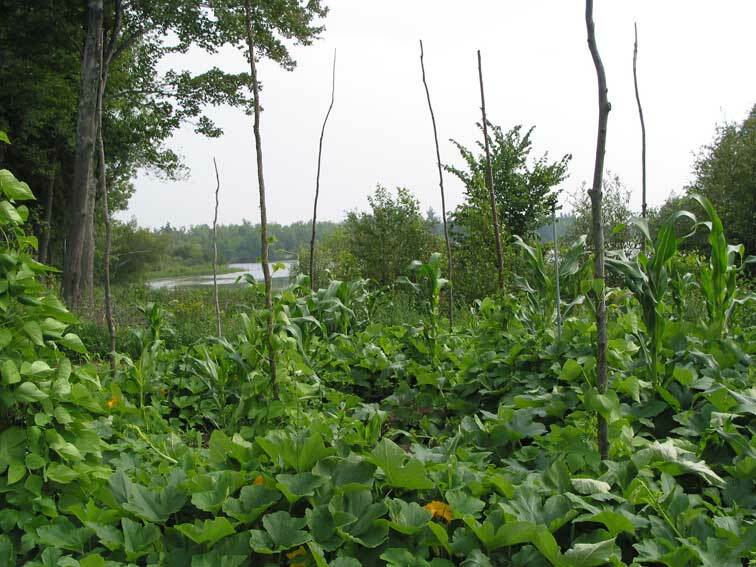 In addition to the services available at the Wholistic Center the community internally continues to expand its knowledge and use of the vast amounts of useful plants that grow in abundance within our traditional homeland. The people are very grateful for the many individuals from across “Indian Country” that continually return to Ganienkeh and share their special knowledge with us. Ganienkeh continues to be a positive “refuge” for those Onkwehón:we people suffering and or recovering from the devastating effects of drugs and alcohol. Ganienkeh continues to make compulsory its law of “zero tolerance of drugs and alcohol”. Many of our communities are ravaged by such destructive substances and the people of Ganienkeh are committed to see that this community remains at all times free of these substances for the benefit of everyone, especially the youth. People have come to Ganienkeh specifically to “dry-out” or as a way to “avoid temptation”, they have made a conscious effort to do away with this part of their former lives and the people of Ganienkeh are glad to encourage their efforts. However with this illness of substance dependency there are always risks of relapse and if this does happen the individual is given opportunity to correct this. If the behavior is continually observed or if any individual is found to have these substances within the immediate community of Ganienkeh; that person is instructed to leave with a reminder that the door is always open for them when they are able to prove that they can abide by the laws of this community. The community is one hundred percent devoted to see a complete revitalization of the Kanien’kehà:ka language at Ganienkeh. The people have taken a firm stand in re-affirming their commitment to our language. - It is agreed that the time for change is now, to reverse our own barriers to our existence. We will return to a society where Kanien’kehà:ka is spoken by future generations as their first language. Where future generations will learn their language from birth in their home and community environment. Where eventually English and or other languages will be re-introduced as complimentary language(s). - For now there will be some compromise of a 'main-stream' style of education however our people have proven that they can acquire this type of information at any stage of life. The most powerful time for language development is when we are young. 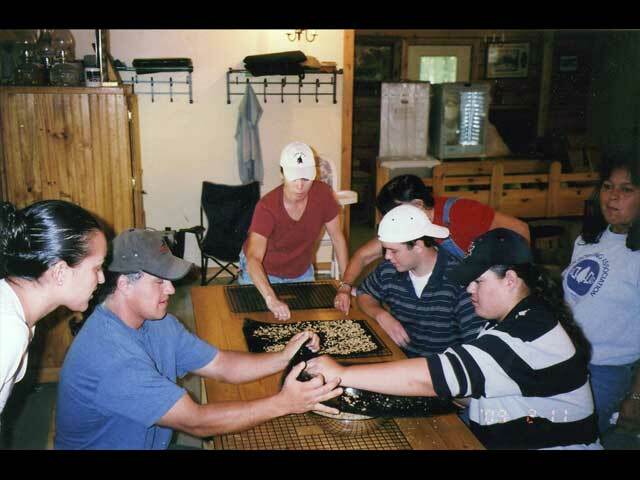 In the winter of 2005 - Rontewennanónhnha – Ganienkeh’s first total immersion school became a reality. Experienced Kanien’kehà:ka language teachers and program developers were recruited for this one-of-a-kind opportunity to develop Kanien’kehà:ka language programs at Ganienkeh. Programs are being developed and implemented that will work and are not tainted by the bureaucratic constraints of “Indian Country” schools still dependent on funding from US and or Canadian sources. Our education is truly in our control and this was mandated and insisted upon by our youth who truly appreciate one of our greatest resources – our language, our direct link to the natural world around us. As a compliment to the developing language programs at Ganienkeh a number of Multi-media language resource projects are in various stages of production. These projects consist of Print, Video and Interactive CDROM technologies, including an immersion style 3D video game, full motion animation shorts and live motion skits or reenactments. All of these initiatives will be actively completed with participation of the students and instructors of Rontewennanónhnha. The people of Ganienkeh continue to address issues in formal council according to the Kaianerehkó:wa and the policies and laws set in place for the “Independent Indian State of Ganienkeh”. The youth are encouraged to participate in active council and often they are chosen as “spokesperson” to voice in our language as best they can the decision or position of their respective clan. 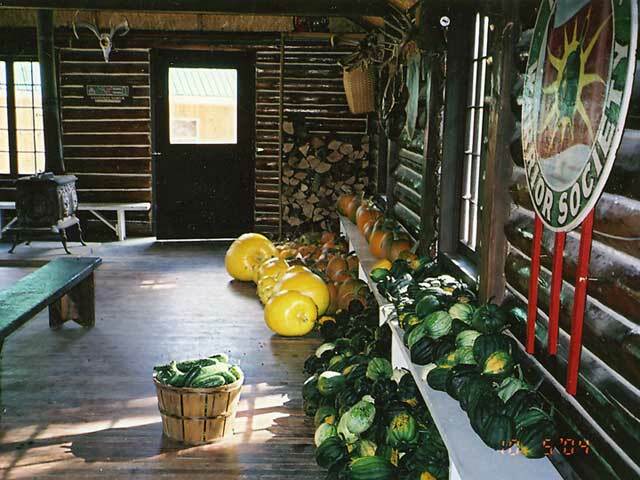 During a people’s meeting at the longhouse on March 26, 2001 it was decided that the residents of Ganienkeh would be required to meet each Monday at the cookhouse to generally discuss issues brought to the attention of the people. Any issue of greater importance that required a specific decision of the Ganienkeh Council Fire would be deferred and addressed in a formal Council of the Clans. Depending on the wishes of the people for that day, this formal council may take place in any number of locations before dusk, usually where there is a physical fire at hand, including the cookhouse, the longhouse and or outside. More recently the people of Ganienkeh have been gathering daily to discuss issues of concern for the community. Unity within Ganienkeh has become stronger than ever during the last few months. The people have been getting together for breakfast, lunch and supper at the cookhouse nearly everyday, not so much as out of necessity but because this makes sense. This is how things were for Ganienkeh at Moss Lake and that is why the people remained so strong and kept their spirits high during those turbulent times. These days in most communities across the confederacy and the world people have become isolated in their own homes oblivious to the world around them. Even within their homes family members become isolated from each other in the shelter of their own rooms, this is not a trend that Ganienkeh wants to plague this community. It should also be noted that Ganienkeh continues to initiate progress in understanding and positive relations with individuals, groups and organizations that have responsibilities to those entities known as the United States and Canada. Although there are some very politically “hot” issues simmering between “Indian Nations” and the governmental institutions of the US and Canada the people of Ganienkeh wish to encourage calm and respectful communications at all times. One example is the positive and continuing exchange of dialogue between the community of Ganienkeh and various New York State law enforcement agencies. We commend current efforts by those organizations that have a responsibility to their citizens to become more aware of Ganienkeh and develop an appreciation for the importance of our continued survival as a people. During these exchanges we are also able to share common concerns that impact people of all societies. The community of Ganienkeh also extends its support to its “non-Indian” neighbors by providing employment opportunities in an area that is generally economically suppressed and by assisting with various area charity fundraisers. The “local” volunteer emergency services organization is one group that we make a priority to help support yearly. In addition the community has the intent to develop general Kanien’kehà:ka resources accessible to the public and educational institutions of North America. This is another major task that will require major personnel resources and time, but can and will happen. The people of Ganienkeh would like to acknowledge the success of the participants of the Spirit of the Youth Unity Run. These young people are truly an inspiration for everyone. Their visit to Ganienkeh during the 2006 Unity Run was a success in many ways. Their mandate of unifying the people across the confederacy and beyond was well heard and received. During their stay some powerful ideological exchanges were made and Ganienkeh was pleased to see new faces and the faces of those who have not been to Ganienkeh for many years. 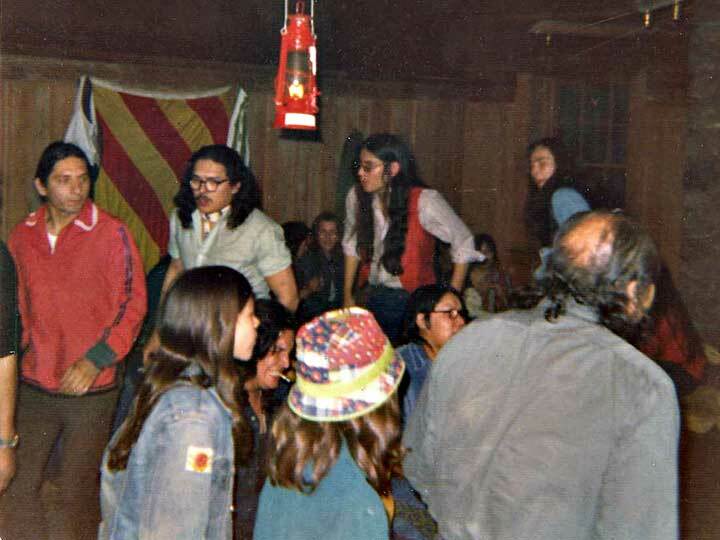 These young people very well may be ushering in a new age of respect and communication between various individuals, “factions” and communities within the great longhouse of the Confederacy. Over the last year Ganienkeh has been pleased to welcome a number of old friends and new visitors from across the Confederacy. Most are surprised and delighted at how Ganienkeh has endured and progressed toward its original mandate. New alliances were formed and old alliances were reaffirmed as a result and we are grateful for this. The people are also pleased to say that recently some former employees have returned and also some former residents have returned to stay indefinitely at Ganienkeh. The people of Ganienkeh are looking forward to a bright and promising future. The community is currently utilizing and planning development of various alternative energy projects including solar, wind and smaller scale hydro systems. These are obvious logical enhancements to the original Ganienkeh mandate for in independent society and will provide another positive example for all of our communities. Expanding our land base is also a continuing effort for. Recent published studies have shown that “Indians” are currently one of the fastest growing populations of North America – so we have to prepare. 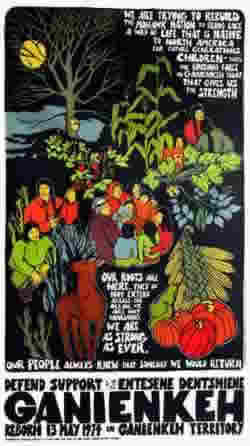 This will be another contentious issue amongst political leaders of the US and Canada, however if they truly wish to promote “democracy” and “freedom”, they will have to come to peaceful terms with those who carry the source of their newly adopted ideals – the original people of “Turtle Island” and more specifically – the people of the one long house – the Ratinonhshionni’ón:we. The opportunities for the future of Ganienkeh are indeed endless and the community is determined not to let anything or anyone interfere with the rightful things that make Ganienkeh a reality. The residents at Ganienkeh are determined to see that everything stays on course for all. *Kanien’kehà:ka: commonly referred to as the “ people/citizens of the Mohawk Nation” or the "Mohawk Nation" in General. ** Onkwehón:we: "Mohawk" word referring to “the original people”, or more specifically all of the original inhabitants of North America.